So there’s this dead parrot… A strange start indeed for a French 19th-century rom-com. But this is no common stage work: it is Vert-Vert by Jacques Offenbach, France’s finest composer of operetta, creator of such classic favourites as Orpheus in the Underworld and La belle Hélène. For Garsington Opera at Wormsley, the director Martin Duncan has joined forces with the conductor and Offenbachophile David Parry to offer a new staging of this little-performed madcap comedy, brilliant in its musical hues and light as a feather. Try not to hold a hot drink while you read the synopsis. Having lost their beloved bird, Vert-Vert, the young ladies of a convent school decide they must find a new mascot and settle upon an innocent lad named Valentin, changing his name to the parrot’s for the purpose. 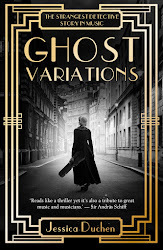 Whisked away to visit his aunt, though, Valentin soon finds himself in an inn, surrounded by soldiers and singers… Before long he has learned to swear, drink and fall in love - and has even been elevated to the status of star tenor. Vert-Vert is being performed in English, with a translation by Parry himself. He is full of praise for the score: the leading roles, he says, are as demanding as those of Offenbach’s most famous opera, The Tales of Hoffmann, while “the music is definitely superior to Orpheus in the Underworld” (the one that features the world’s most famous can-can). Starring Robert Murray as Valentin and Fflur Wyn as his sweetheart, Mimi, Garsington’s new production gives us the chance to judge for ourselves. The great violinist Jelly d'Arányi, muse to Ravel, Vaughan Williams, Bartók and many other composers (maybe even Elgar), was born on this day in 1893. The woman for whom Tzigane was created is today remembered far too little, yet the more one digs into her life, the more fascinating it becomes. She was the great-niece of Joseph Joachim - her elder sister Adila Fachiri (her married name), herself a fabulous violinist, was among his last pupils and was at his bedside when he died. Jelly's life housed countless mysteries. One of the most intriguing is that she enjoyed a duo with Myra Hess for some 20 years, yet merits scarcely a mention in passing in Hess's largest biography to date (I've been trying to find out what went wrong between them, but so far to little avail). She never married, but the great love of her life is said to have been the Australian composer and Olympic rowing champion Frederick Septimus Kelly, who was killed at the Battle of the Somme in 1916. And she gave the UK premiere of the Schumann Violin Concerto in February 1938: as for the famed "spirit messages" from Schumann asking her to track down and perform the piece, which was suppressed by Clara, Joachim and Brahms after the composer's death, there's no doubt that she certainly believed that her messages were genuine - and that they proved effective in restoring the concerto to life. Please listen to her, Felix Salmond and Myra Hess playing the slow movement of Schubert's Piano Trio in B flat major. Seems that some piano wars are afoot at the Arthur Rubinstein International Piano Competition in Tel Aviv. Apparently a startling five out of the six finalists have chosen to play their concertos on a Fazioli piano, rather than the more usual Steinway. 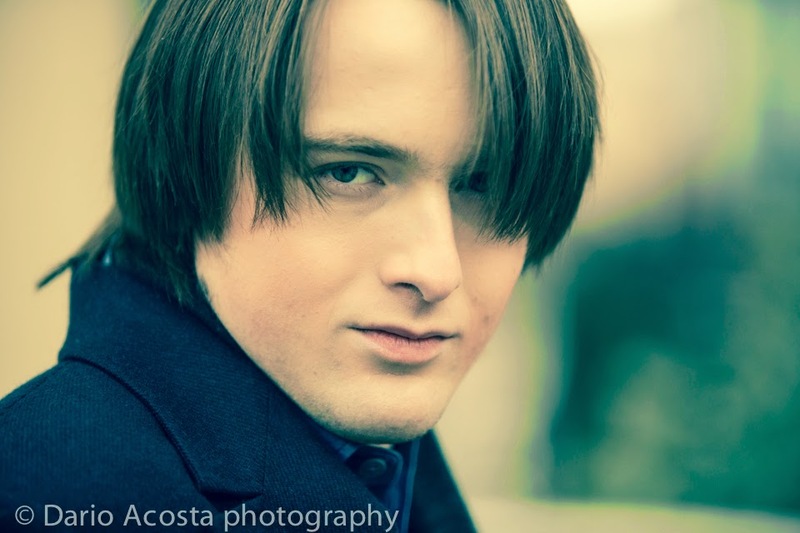 We understand that the competition has the use of a Fazioli concert grand that Daniil Trifonov - winner of the last Rubinstein Competition - selected himself. (Correction: turns out it is not the same one he recently used in London. Angela Hewitt is playing that one tonight, right here...) Meanwhile, we hear that Francesco Piemontesi is also playing a Fazioli for his Wigmore Hall recital today. Steinway has dominated the piano scene for such a long time that it's most intriguing to find its dominance being challenged to this extent by a new generation of young pianists. The competition is live-streaming its finals. First lot went yesterday, second lot later today. What would make you walk out of an opera? "Taragate" got me thinking about what makes the difference between a good opera experience and a bad one. And once you remember that music, alone among the arts, can be used as torture, it all becomes pretty clear. I've written about this in my latest piece for Amati.com - read it here. What would induce you to make a bid for theatrical escape? Apple has put out a new ad for the iPad Air starring...Esa-Pekka Salonen?! I took some soundings from composers and techies and it seems to be rather a good thing. Here's a piece I've written about it for the Independent - including thoughts on how multi-media apps and interactive books might yet revolutionise the way we experience classical music. And below is the ad itself. If I had to name a few of my favourite assignments EVER, this one would be right up there. I went to the Royal Ballet studios at the ROH and watched a rehearsal for Alastair Marriott's new ballet Connectome, which premieres on Saturday, and talked to him and its star, Natalia Osipova. And I spent two hours observing them at work, about two or three metres away from Osipova, Ed Watson and Steven McRae and four hugely impressive young soloists, and it was absolutely unbelievable. The resulting article is in today's Independent, here. This is the performance of the Schumann Piano Sonata No.1 that took pianistic London by storm last month. Federico Colli has just uploaded the entire recital to Youtube (in three chunks). I hope you enjoy it as much as we all did in the flesh. You can find the rest here. It was part of the International Piano Series at the Queen Elizabeth Hall. I have a little guest spot in the Observer today, re the conundrum facing young female soloists in the classical music world re sounding good versus looking good... It's connected to Susannah Clapp's larger article, here. Meanwhile Fiona Maddocks has written such a brilliant take on Glyndebourne's Der Rosenkavalier that I think we should campaign for her to receive a DBE for services to opera, wit and good sense. Tomorrow at LSO St Luke's the one and only Jeremy Denk is giving a recital of Bach's Goldberg Variations and some of Ligeti's unbelievable piano Etudes. I am interviewing him on stage afterwards. Please come and join us. Above, a taster. Here's the website (the talk is not on it, but it is definitely happening!). My tuppence ha'penny on the "Taragate" scandal is out now in the Independent. Read it here. I hope that tonight the fabulous Ms Erraught will get extra cheers at Glyndebourne - especially as she stabs Ochs in the buttock with the silver rose for treating Sophie like an animal at the market. It's Sally Matthews, who stars as Blanche in the forthcoming run (the Robert Carsen production) at Covent Garden of Poulenc's Dialogues des Carmélites under the baton of Sir Simon Rattle. The opera ends with the onstage beheading of 16 nuns. Here's my interview with her from today's Independent. And a little extract from Gianni Schicchi. If you met Sally Matthews in the street you might not guess that she is one of Britain's finest sopranos. Quiet, serious and rather reserved, the 38-year-old singer is anything but an obvious star; but on stage her voice speaks for itself. Blessed with great range and a rich tone containing unusual warmth, colour and shadow, her refulgent yet pure sound is ideal for Mozart, Strauss and, not least, French music. Matthews is about to take the leading role in Francis Poulenc's opera Dialogues des Carmélites at the Royal Opera House, amid an all-star cast conducted by Simon Rattle. Operatic success does not get much bigger than this, but she refuses to play the diva. To her, opera is teamwork; and she prefers to avoid repertoire like the more melodramatic moments of Puccini, which possibly attract a different type of personality. "Sometimes the big egos completely detract from what we're doing," she muses. "I've worked with a few of them and I didn't like it much. It should be all about the music." A couple of years ago the much-loved British cellist Robert Cohen made a move that took many of us by surprise: despite having enjoyed a strong solo career since his youth, he joined a string quartet. And not just any old string quartet, but the Fine Arts Quartet, one of the most distinguished and distinctive chamber ensembles in the States, and very much a full-time concern. They're coming to Kings Place, London, on Thursday (22 May): this will be their first concert here with their latest line-up, Robert included. The concert will be filmed by Hibrow TV for its online arts broadcasting platform. Hibrow now has ACE funding and Robert is one of its "curators". Its founder, film director Don Boyd, apparently felt he needed to do something to counter the disastrous loss of arts on mainstream TV. I first met Robert when I was about eight and he must have been 14-ish and the Purcell School's young whizz-kid cellist. This seems like a good time to catch up...so I asked him to tell us how and why he's joined up, and what it's been like to make the change. RC: In January 2011, I was invited to play with the Fine Arts Quartet on a European tour. I had played sextets with them 6 years before and that experience had been an extraordinary and wonderful one. Playing quartets with them was even more thrilling. Not only are they amazing musicians, but exceptional individuals. I enjoyed every moment playing and being with them. Later that year, when they invited me to join the Quartet, my feelings were that it was a once-in-a-lifetime opportunity that I couldn’t possibly miss; at age 52 to open a whole new life into the fabulous world of string quartets with an ensemble that so beautifully suited my kind of music making. The decision was remarkably easy! JD: …and you’ve shifted to the US. How do you feel about that? RC: We set up a home in Chicago, which we all love - it’s such a stunning city - but we also keep a home in London because we have family there. Given that the Quartet tours globally much of the year, it’s nice to have a foot on either side of the Atlantic. (I can pop home relatively easily, whichever home is nearest). JD: Tell us something about the Fine Arts Quartet and its history, please? It’s a hugely distinguished group and has made some gorgeous recordings. RC: The Fine Arts Quartet was founded in Chicago in 1946, and has been based at the University of Wisconsin-Milwaukee since 1963. It has recorded over 200 works and has won numerous awards. The Quartet members have also nurtured many of today's top international young ensembles. JD: What qualities about their playing do you like and what is it like to work with them? What qualities do you feel you have that enable you to fit in? RC: The Fine Arts Quartet is instantly distinguishable because of its unique sound; inspired by the golden era of string playing for which warmth, beauty, passion and humanity emanate from every note. I grew up with these sounds in my ears, listening to the greatest ever string players; Casals, Feuermann, Heifetz, Kreisler, Primrose, the Amadeus Quartet... I absorbed those values and aims into my playing and they are part of what I bring to the Fine Arts Quartet. They are fundamental qualities in the Fine Arts Quartet’s way of communicating music. So when I started playing with them, it was really natural for me to slot in. JD: What’s the most difficult thing about joining a long-established ensemble as kind of the new kid on the block? How do you know - and how do they know - if you are the right person for them? RC: The Fine Arts Quartet have an extraordinarily large repertoire. In my first year, I learnt around 75 quartets, almost all of which the others know and have performed for years. I’d never even seen the music for these works! I wanted very much to arrive at rehearsals playing and knowing each piece as though I had performed it with them many times. I didn’t want to disappoint them. I was on the edge of my seat with my antennae straining every millisecond to catch and memorise every detail. Gradually I found it easier to anticipate how the Quartet structured its work on the music and how the dynamics within the group affected the rehearsals. And finally when I felt I was balanced within the Quartet, it was more natural for the others to absorb my own input of ideas. The experience of growing into this Quartet and into such a history has been really exciting and fulfilling. JD: Are you going to keep up your other activities - your solo career, your chamber music festival, etc? RC: I do still give solo concerts and continue to make concerto recordings. For example this summer I'm returning to the ‘Chopin and his Europe’ Festival in Warsaw to perform with the Orchestra Sinfonia Varsovia. However, the majority of my time is devoted to the Quartet. After a wonderful 35 years of solo and concerto performances, I feel privileged to be discovering the glorious quartet repertoire and to be performing with such wonderful partners. The Fine Arts Quartet schedule is so busy that for now my Chamber Music Festival at Charleston Manor is on hold. Huge congratulations to Martin James Bartlett, the young pianist from Hornchurch, Essex, who yesterday was awarded the title of BBC Young Musician 2014. Here's an extract from his performance in the piano final; and you can watch the whole of yesterday's grand finale on the iPlayer here if you missed it. The other finalists were percussionist Elliott Gaston-Ross (15) and recorder player Sophie Westbrooke (15). "It's a passion that's all-consuming, even at weekends," says presenter Milos... I'll leave that little nugget of wisdom for the vocation-driven among you, dear readers, to chew over at leisure. Martin's Liszt - the bit of it we're allowed to hear here - sounds absolutely gorgeous and the Barber Sonata is seriously impressive. He's doing his A Levels and has been offered scholarships to three conservatoires. I look forward to hearing much, much more of him in the future. Oh, never mind, you can listen on the website. Oh, not to worry, it's on BBC4. How familiar is this litany? Look down the TV listings of the oddzillion available channels and amid the bake-offs and the drying paint and the relocations and the game shows and the lottery and the not-very-funny comedies, and you might find a little culture, but if you do you will be very lucky. As for performances of classical music, with the exception of the Proms in summer... there's hardly anything. Documentaries from time to time, yes; and BBC Young Musician, in which people insist on having talking over performances during the section finals - an indignity not equivalently suffered by the Eurovision Song Contest. This matters. It really does. Anyone can see that people love classical music when they have a chance to hear it - witness all those instances of its use in adverts and football and 50 Shades of Grey. But the bottom line is that unless you put it right in front of them, literally shove it under their noses, nobody new will take any notice. Harsh? Yep. I know this from selling books. Last season we had a number of performances of my concerts-of-the-novels, and of course this is a book-selling opportunity too good to miss. Venues' sales facilities differ. Some provide very visible trestle tables by the entrance. Others have smallish counters; others still have none. One principle I learned during all this is that if you do not display the books in an obvious way, nobody will buy them. 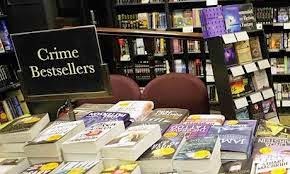 You can't guarantee that anyone will buy a book even if they are displayed, of course. But you sure as hell won't sell them if nobody knows they're there, and a handwritten sign saying BOOKS £6.99 doesn't float anyone's boat unless beside it there's a pile of, er, books. You have to make them prominent; you have to make a thing of them. Our most successful sales event ever was a coffee concert at last year's Ulverston Festival. The venue had long trestle tables in the foyer, devoted assistants on duty to take cash and offer change, an announcement at the concert saying I'd be signing books out front afterwards, and plenty of refreshments that let people stay on location without zooming off for caffeine fix elsewhere. They even fed me a GF chocolate brownie. The least successful sales figures were in places where the books were tucked away apologetically in a corner, or in which any designated sales assistant was busy talking to friends, and of course where the books were not on display at all - even, in some cases, when they were sitting backstage in a cardboard box, waiting. Take those chain bookstores in which selected books are on display at the front of the shop, piled flat on tables. Few people move beyond those tables to the shelves, unless they are hunting down something specific. It is not that they are lazy, or unimaginative, or too stressed to spend the extra time. It's just that they... don't. The tables are in front of our noses; the spines on the shelves are not. It's human nature and it's no reflection on anybody - but unless your product is in that fragrant location, you probably won't shift anything. 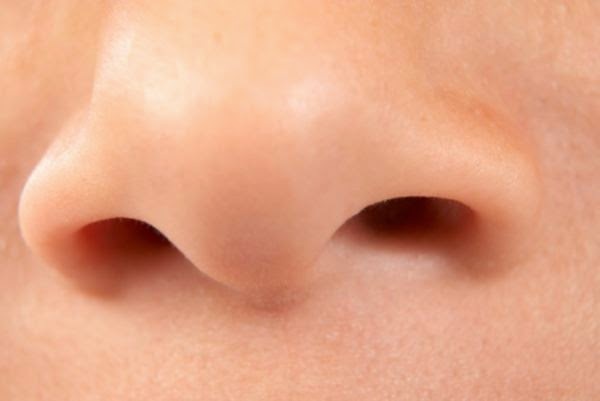 Speaking of noses, deciding not to put something out there because you think nobody wants it anyway really is cutting off yours to spite your face. The surest way not to win the lottery is not to buy a ticket. The surest way not to interest your populace in classical music is not to give them a chance to enjoy it that is so obvious it can't fail to be noticed. You have to make it prominent; you have to make a thing of it. I do not believe this is rocket science. Go and think about it. Doucet was born in Belgium in 1895 and studied with Arthur De Greef, who had been a pupil of Liszt. He went to New York for three years in 1920 and absorbed stride piano - as you can hear - and on his return to Europe succeeded Jean Wiéner as house pianist at the Paris cabaret Le Boeuf sur le toit (after which the Milhaud ballet is named). He and Wiéner formed a piano duo and gave more than 2000 performances together between 1924 and 1939 and worked with some of the most popular French singers of their era, including Edith Piaf and Jean Sablon. But after the war it was Wiéner who had the career. Doucet died of chronic alcoholism in 1950. I am now trying to find out what had happened to them both in the intervening years. One more recording. They were not jazz pianists alone. Just listen to this heavenly Bach. ...yes, 2013 was one of the best years for music in the UK - well, certainly in London - and last night the Royal Philharmonic Society Awards recognised some of its high points. Prizes went to the Southbank Centre for The Rest is Noise (right), and the London Philharmonic which devoted itself all year long to 20th-century music for that occasion; George Benjamin's Written on Skin; the glorious Joyce DiDonato; and Daniel Barenboim for his phenomenal Ring Cycle at the Proms. 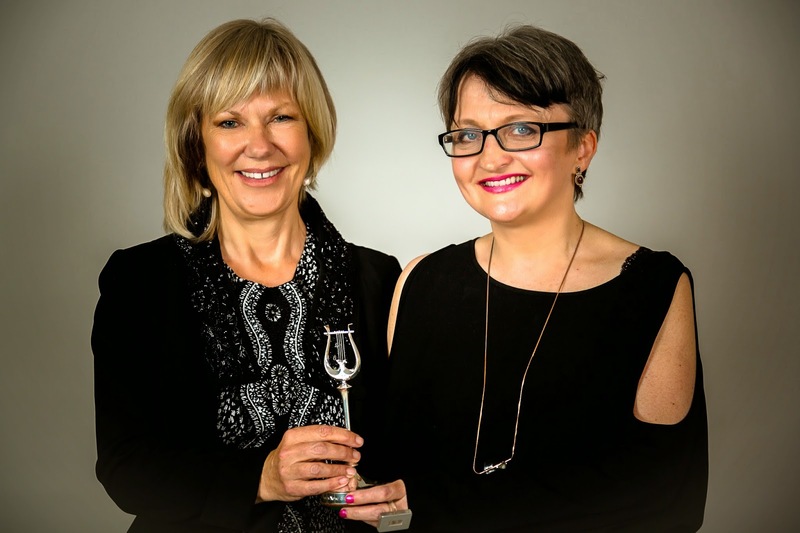 Lovely win for Champs Hill in the Chamber Music and Song category, for its "holistic support" to nurture young artists working in this repertoire with a beautiful, calm concert venue and an enlightened recording label. One very important prize: Touchpress Classical Music iPad Apps scooped Creative Communication, recognising apps as the way forward for explaining and exploring music - and quite right, too, because these interactive multimedia productions are the only thing I've ever seen that really make me believe the book as a format might just be outdated. It was also the year I flippin'well missed the fun. I've been off sick and didn't make it to the dinner, much to my annoyance. So no goss and glitter this time, but naturally one was there in spirit. Psst, violinists - do you know how lucky you are to play an instrument that your furry friend can't curl up on while you're practising? Full marks to purrcussionist Tim Collins for purrseverence.... it's mewsic to our ears. ...and Harriet Walter has given a wonderful interview to Brighton's Argus about it. How great it is that Hans Gál is Composer of the Week on BBC Radio 3. He is one of music's most genuine undersung heroes and last year it was wonderful that so many people helped to crowdfund conductor Ken Woods' latest recording in his series of Gál's works with the Orchestra of the Swan. You can listen to the programmes online and for seven days after broadcast here. Here is an article of mine about him that I think fell down a crack between some editorial floorboards a couple of years ago. Plus a video in which Ken talks about Gál's life and work and we hear a sample of the latter. Enjoy. Someday an alternative survey of 20th-century music should take a thorough look at the myriad composers who were reviled, then exiled, for being born in the wrong place at the wrong time, or for writing the ‘wrong kind’ of music, and often for both. When that happens, Hans Gál’s star will shine bright. 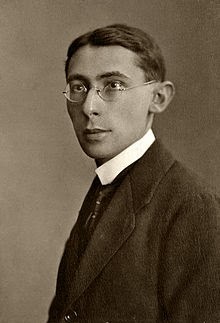 The Austro-Hungarian composer and scholar was born in 1890 and grew up in Vienna; later he and his family were forced to flee first Nazi Germany, then Austria, for Britain. He wrote prolifically, clocking up more than 100 works, and he lived to be 97. Yet for decades even his finest music lay unrecognised and unplayed. But in the last year or two, a series of recordings spearheaded by the Hans Gál Society and the composer’s daughter, Eva Fox-Gál, has been bringing him back at last to the public notice he deserves. Gál effectively suffered a threefold misfortune. He believed himself part of the great German tradition of music-making; then the Nazis decided he was not. After escaping to Britain, he was interned as an ‘enemy alien’ on the Isle of Man, and his music was sidelined for sounding too German. Earning his living by teaching at Edinburgh University, he continued to write symphonies in the tradition of Haydn and Beethoven as recently as the 1970s – but by then, the musical elite tended to react vituperatively to new music that did not toe the line of accepted contemporary style. 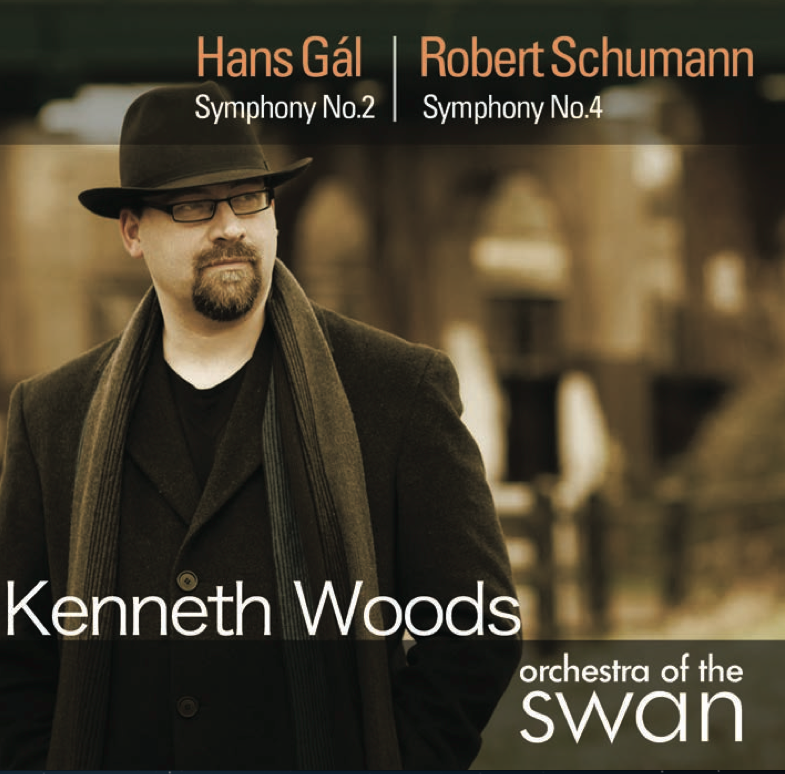 Kenneth Woods is the conductor for several of the new recordings – the latest is Gál’s Symphony No.4 (on Avie Records). When he first realised Gál had written so much music, he says, he was astonished. Though familiar with Gál’s performing edition of Brahms’s symphonies and his superb books on Brahms and Schubert, Woods had had no idea that the academic was primarily a composer. Many of his finest works, such as the early Violin Concerto, had gone unperformed for 70 years. “It’s tremendous stuff,” says Woods. “It’s the opposite of what people thought they had to conform to at the time; Gál just kept on writing in his own style. Eva Fox-Gál (who was born in Britain in 1944) has made it her mission to champion her father’s works; and her son, Simon Fox-Gál, is the sound engineer on the Avie recordings. “My father was genial, well known for his wit, modest, good fun to be with, and never pushed himself or his own work forward,” Eva remembers. 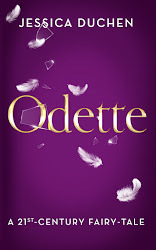 “But that was his outer shell. To know what he was like inside, one needs to listen to his music. was banned by the Nazi regime, along with all works by Jewish composers. Gál was appointed director of the Music Conservatory in Mainz in 1929, but the Nazis had him thrown out in 1933. He and his family returned to Vienna, which they escaped at the time of the Anschluss in 1938. After a false dawn in Britain – in which Gál was much assisted by the great musicologist Donald Francis Tovey, who brought him to Edinburgh University to catalogue the music library – the composer was interned on the Isle of Man. This was one of the most difficult times of all, says Eva: “That collection of refugees really represented Hitler’s greatest enemies, yet they were seen as a danger. The idea that they were a ‘fifth column’ that put the country under threat was completely ridiculous. There was no understanding of who they were, or of the horrors that they had already been through.” The ever-increasing stress proved intolerable for the Gáls’ younger son, who took his own life before the war was over. Michael Haas, a distinguished record producer and music curator of the Jewish Museum in Vienna, is among Gál’s most passionate advocates. He describes Gál as an ‘anti-Romantic’: a composer who was convinced neither by the effusive styles of Liszt and Wagner, nor by the mainstream trends of his own time such as atonality, 12-tone ‘serialism’ and the neo-classicism of Stravinsky and Poulenc. “His antidote to Romantic excesses was to reach back to earlier models,” Haas suggests. “Most people assume the model was Brahms, but I believe that actually it was Mendelssohn. This accounts for his frequent lack of overt emotional abandonment. Please come to the Brighton Fringe and the MOOT - Music of Our Time series on FRIDAY 9 MAY when the utterly incredible Dame Harriet Walter (above) stars in my play A Walk through the End of Time together with Guy Paul, the wonderful American actor who happens to be her husband. The play, in one act, explores the way Olivier Messiaen created his Quartet for the End of Time in a prisoner-of-war camp in 1940, through the prism of a contemporary story about two people whose lives have been profoundly touched by the work. (More about it here.) In the second half the Ether Quartet plays the complete quartet. St Nicholas's Church is close to Brighton station. Book here! Ukrainian ballerinas perform the Dance of the Cygnets from Swan Lake in front of Odessa's military museum and some tanks. The clip was apparently broadcast on Wednesday and thereafter went up online. Many thanks to Gramilano for drawing attention to it. Ballerinas in the Ukrainian city of Odessa have performed a dance from the Swan Lake ballet for Russian President Vladimir Putin — but the gesture was far from salutary. The dance, performed to music by composer Pyotr Tchaikovsky outside Odessa's military history museum, was a nod to a Soviet-era tradition, the performance's organizer said, noting that state-run television traditionally aired classical music during periods of great change in the Soviet Union. "For millions of Soviet people, televised performance of the world-renowned ballet 'Swan Lake' always signaled a change in the country's leadership — either the death of the Secretary-General, or his ouster as a result of a coup," regional lawmaker Oleksiy Honcharenko said when introducingthe performance in front of Ukrainian television cameras. "Because Vladimir Putin has made a fatal mistake by unleashing aggression against Ukraine, today Odessa, as a cultural capital, performs for him this portentous composition," he said in footage that aired on Ukrainian television and was posted online Wednesday. This morning there comes news that more than 30 people were killed and 200 injured in Odessa yesterday when a trade union building was set on fire during clashes between pro- and anti-Russian groups. Our hearts go out to everyone there, together with a plea for peace. These Cygnets also remind us of the way that classical music/ballet is often used as a kind of official safety curtain when seismic events are taking place behind it; it is a trick that is by no means exclusive to the old USSR. Depending on who is doing it, and how, and where, and when, it can also be distraction, a whitewash, or - very occasionally - part of a larger-scale brainwash. You don't even have to look at world politics to see this in action. I once worked for a company that had an open-plan office in Camden Town; and if you heard Bach violin concertos drifting peacefully across the space on a Friday afternoon, it was a sure-as-hell sign that in the MD's corner box someone was being made redundant. It seems the profile of female conductors has been raised to the point that they can be considered a good way to advertise...well, certain bits of clothing. One maestra mate sent me a link to this video, declaring herself lost for words and hoping I'd have some. Hmm.